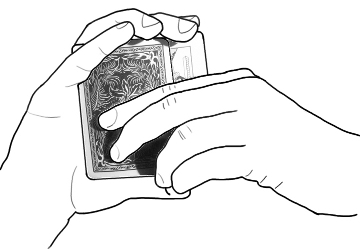 A collection of five simple and powerful effects for the close up magician. Includes magic with Finger Rings, Boxes, Cards, Pens and more. What The Eye Can't See is fully illustrated and easy to follow. It’s like erasing an Etch A Sketch: the conjurer removes his volunteer’s signatures from a playing card. He demonstrates his abilities once again under ‘test conditions’ and proceeds by impossibly reprinting the card. This effect includes a simple, yet deceptive, torn and restored card as a finale which you will use. A simple, almost self-working and entertaining card effect. Why put your pen in a pocket when you can eat it? The ring re-appears in an everyday gift box. This will cost you the price of a gift box and it is examinable. A ring flight with purpose, logic and reason. This routine always gets great reactions, you don’t need a gimmick and it connects with the audience and has a really good kick.
" What the Eye Can't See contains some amazing routines. The explanations are clear and concise resulting in a read which is both pleasurable and palatable. Pick up a copy today, your audiences deserve it! "For the last 12 years I have watched a young man create ideas that go against the grain of convention, for the first time he is sharing these ideas with you, my advice ... take good notice." "I've just read the first effect... f*ckin brilliant mate!" "A tale of two halves is is a powerful routine. I can see that ending having a lot of uses. I really like the ring to box, Iv'e never seen such a simple solution - neat"
"This is powerful close up magic. You shouldn't reveal your ring flight."